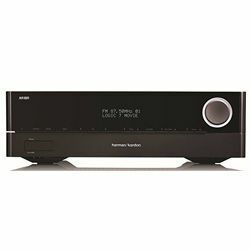 The Harman Kardon AVR 1710S specs draw a picture of the middle class 7.2 receiver. 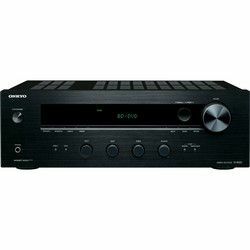 It has some hi-tech features such as Dolby True HD and Deep color but lacks the essentials like Dolby Atmos or 4K / HDR support. Besides, its connectivity has two sides: the solid work of one option compensates the absence of another. Or not? Anyhow, the top-notch specs make it an interesting device to check. It looks unassuming: a simple rectangular shape and small information panel. The buttons are tiny and not easy to navigate, while the large dial knob is a plus. So are the phones and mic ports facing front. The unit belongs to the large-and-heavy segment, while numerous ventilation slots allow putting it to the farthest corners of the room. This device supports the majority of the audio and video formats, with some exceptions (like AIFF and DTS Neural:X). While consuming less than an average vacuum cleaner, it enables an impressive output of 700W with the solid 100W per each component. That’s quite a good gain for most speakers and subwoofers. The unit works as intended, featuring some input lag during the shifting between inputs. No possibility to reassign the inputs. The remote and OSD look complicated enough, while the smartphone app is more user-friendly (not intuitive, though). 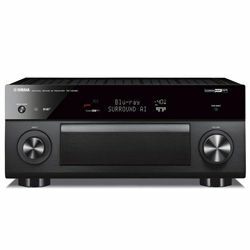 The receiver’s specs allow 3D pass-through and provide quite decent analog-to-digital (HDMI) upscaling. 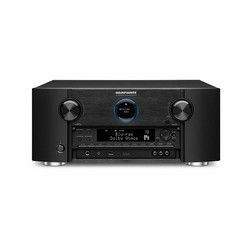 Why I would recommend this unit is for its impeccable sound. 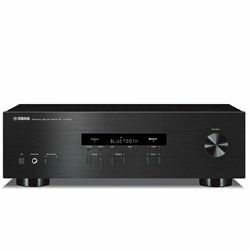 The high signal-to-noise ratio and powerful gain provide the rich sound with the wide range of effects and very accurate middle line. Fiddling with the EQ a bit, I received an impressive creeping vibrating bass out of the subs. The highs are precise and sharp, while a bit “digital” at the top volume. There is a standard set of connection ports enriched by additional HDMI output to connect another Full HD TV or a monitor. While it has Internet radio and supports Spotify, there is no full-range video streaming due to Wi-Fi absence. In spite of the rigid menus, the setup is easy and fast. So far, it requires plugging in and activating the auto-calibration program. It works perfectly while the unordinary placing of speakers would require some manual tweaking, which is no brainer. 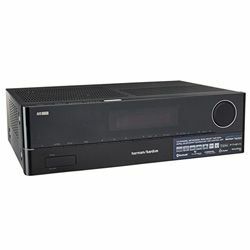 The Harman Kardon 1710S is an AV receiver with realistic clear and loud HD sound. It has many features like comprehensive two zones’ control and quality audio streaming via Bluetooth. However, its operation might be compromised, as it jumps the sources when working full load. Still, the setup is an easy one, in spite of the poorly compiled manual.